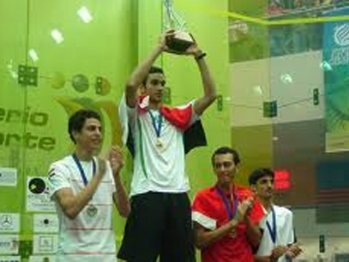 LONDON – Pakistani youngsters competing in the British Junior Open Squash Championships in Sheffield had mixed fortunes on Sunday. Appearing in the first round of Boys Under-17 category, Syed Ali Bokhari defeated his Japanese opponent Taiki Kaido in straight games by 11-6,11-5,11-4 after 24 minutes in the court. Saad Shahid, who is ranked 64, went past local boy Joshua Masters 11-8, 11-8, 11-3 in only 21 minutes. Malik Balaj was the third successful Pakistani in the first round with his 29-minute 11-8, 8-11, 11-6, 11-6 success over Andres De Frutos of Colombia. However, in the second round Syed Ali Bokhari was the solitary winner as both Saad and Balaj suffered defeats. Bohari took 44 minutes to overcome Zachary Leman of Canada 11-9, 11-8, 7-11, 11-7 for a place in the third round. Saad was beaten by local player Matthew Sidaway in straight games 11-6, 11-4, 11-6 while Balaj went down to his superior Egyptian rival Mazen Gamal 11-6, 11-4, 11-1 in only 19 minutes. In the Boys U-15 first round, Haseeb Gul was defeated by Bradley Smith 11-6, 11-2, 11-8 while in the U-19 first round, Oliver Mapp received a walk-over against Mahed Jawed of Pakistan. As many as 350 youngsters, representing over 25 countries, in the age bands of U-13, U-15, U-17 and U-19 are taking part in the five-day event.